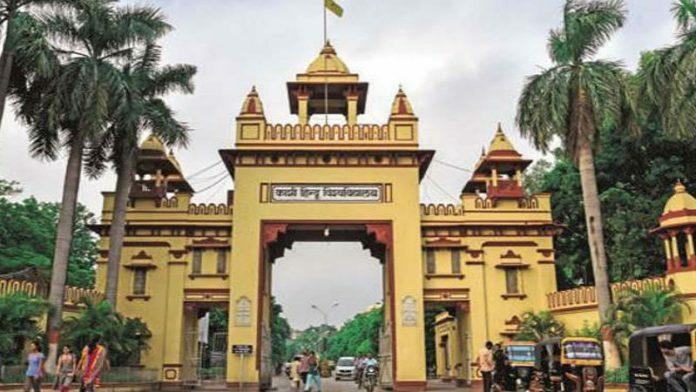 Twelve students of Banaras Hindu University (BHU) have been booked under various sections, including the charges of attempt to murder, for protesting against Prof. Royana Singh, the university’s Chief Proctor. The students named in the FIR are Mrityunjay Maurya, Vikas Singh, Shivangi Choubey, Mithilesh Kumar, Garima Yadav, Deepak Singh, Rajat Singh, Anup Kumar, Shashwat Upadhyay, Aparna, Parul Shukla, and Jay Maurya. The charges imposed on the students include the sections 147, 148, 353, 332, 427, 504, 307 and 395 of Indian Penal Code, based on the complaint raised by Proctor Royana Singh. The issue dates back to September 2017, when the female students of Banaras Hindu University sat on protest demanding safety after one of the students was molested inside the campus and university’s proctorial board refused to take complaint at the moment. Last week, Zee News came to BHU campus and aired manufactured reports from the university through its much-debated “DNA Test” which implied that there have been no issues or problems to the girls inside the university’s hostels. The reports aired by Zee News also gave a clean chit to Prof GC Tripathi, the then vice-chancellor of the university, over his “actions” taken during the September 2017 protests. The reports quoted Prof Royana Singh that protesting girls were being given Pizza and soft drinks by “outsiders” during September protest. Singh was also quoted saying that “JNU people” were involved in instigating the protest. “There was a door glass which was painted with wooden colour giving false illusion of rge door being made of wood. When one of the members of JAC knocked on that part, it fell down,” added Divakar. However, BHU states that the students threw a paperweight to break the glass and hurt the people behind the door, which is why they are named under the section 307, charge which pertains to attempt to murder, a charge with students deny. “I stand by every word I said to Zee News. And I did not help them manufacture a report favoring BHU administration in the case, as the allegations are against me,” added Singh. Most of the students are busy in their semester’s examinations at this time of the month. One FIR, that too with section 307, is enough to pull them from their examination desk and put them behind the bars. One would expect a humanitarian approach to such problems, but as Sanjeev Mishra, the SO at Lanka Police Station, said, there is no humanitarian ground when dealing with “criminal cases”. However, police have assured that any action will be taken only after investigation and gathering proof.